Uniworld's boutique river ship the River Queen sailed overnight from Cologne, Germany reaching Koblenz, Germany at 8:a.m on Thursday, June 15, 2017. We are docked within walking distance of the heart of Koblenz. We begin the morning with a leisurely walking tour into the heart of Koblenz. 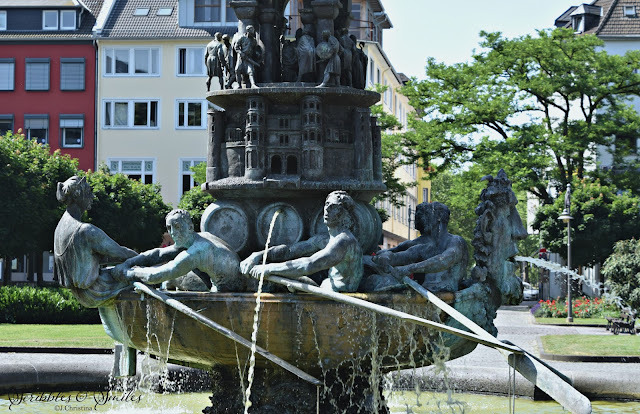 Koblenz – Germany’s most beautiful corner. We are met by Homeira, nicknamed Mira, our tour guide, who was born in Afghanistan. 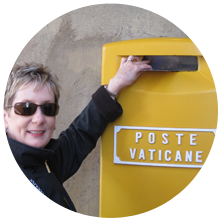 Her family re-located to Germany when the Russians invaded Afghanistan, in 1979. 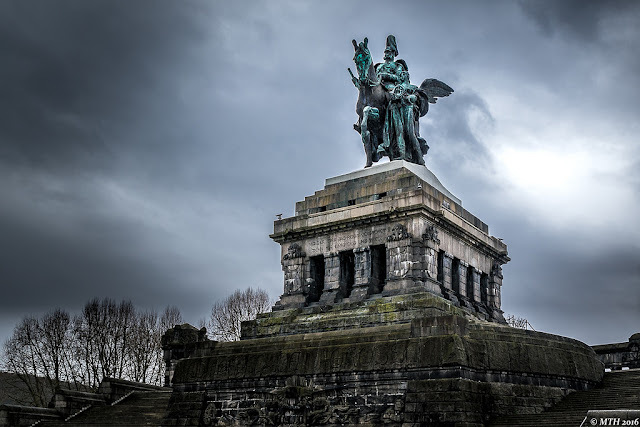 Monument to Wilhelm the great, he was the last German Emperor and King of Prussia, ruling the German Empire and the Kingdom of Prussia from 15 June 1888 to 9 November 1918. He was the eldest grandchild of the British Queen Victoria. Koblenz is the second largest city in Rhineland-Palatinate. Known as a city of immigrants with 3500 refugees. A city that was 90% destroyed during WWII. A 2000 year old medieval town that lies at the confluence of the Moselle and Rhine rivers. Where the waters of the Moselle meld with the Rhine as you stand on the speck of land called the German Corner. There are flags from several countries along the promenade, known as the Rheinanlagen, including the U.S. flag, which was added after September 11, to show support to the USA and a protest to terrorism. In one of the main squares in the city is the History Column, installed in 1993. Starting at the bottom of the Column, in sequential layers, beginning with the Romans, are significant eras in the city’s history. 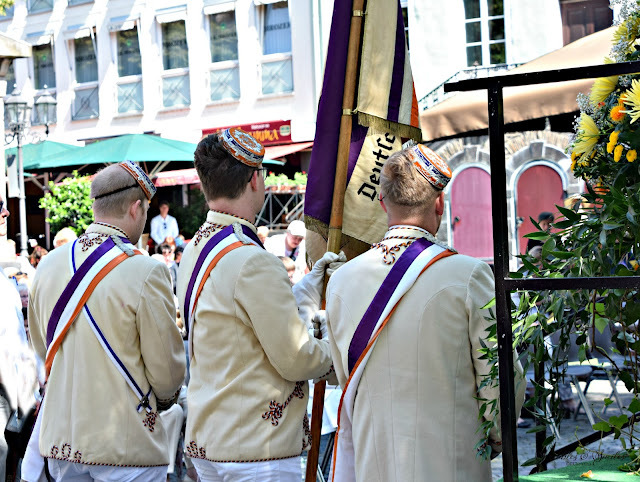 Today in Koblenz and in the total of Germany, it is an official holiday celebrating Corpus Christi. The day honors the Eucharist (Holy Communion, Lord's Supper), which is important in the Catholic church. Corpus Christi is a public holiday in some parts of Germany and is marked by parades for the blessed sacrament (in form of bread or wafers). We stop to watch the Priest perform the sacraments and deliver his blessing to all in the audience. Our European river ship will stay in-port until 7:00p.m. then all aboard for Alken, Germany and onto Cochem, Germany.